It's my business card. 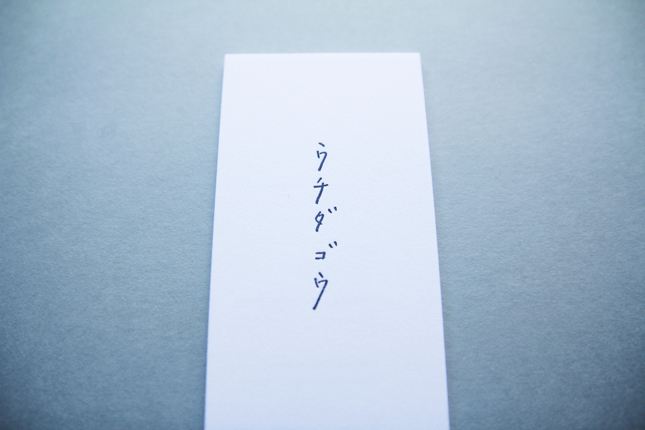 The typography of name is written by my own hand because I wanted people all over the world to know the bueaty of Japanese language as a poet. 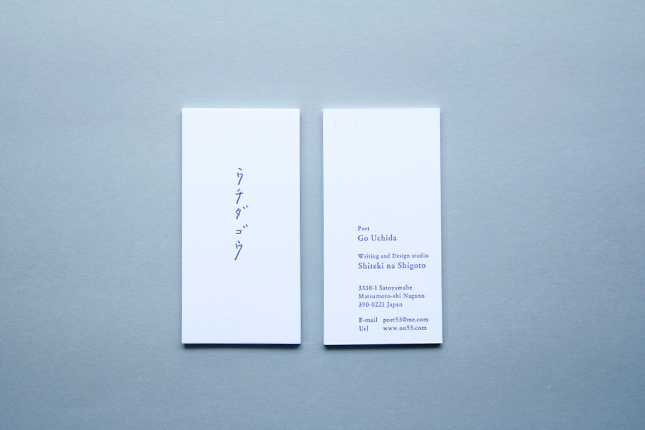 The name and other informations are printed by letterpress printing. 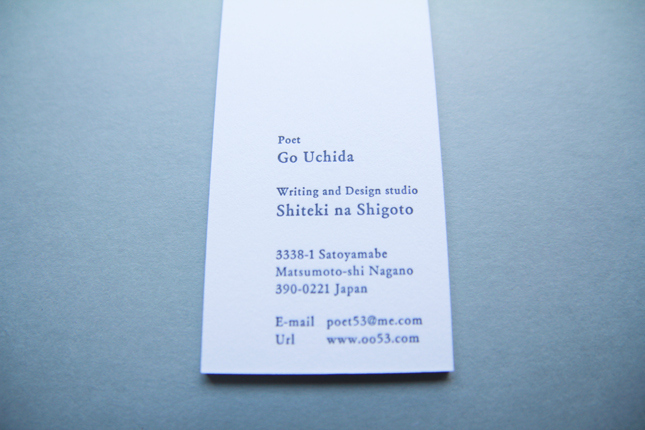 The shape of the Japanese style quotation mark is a symbol mark of my office "Shiteki na Shigoto". 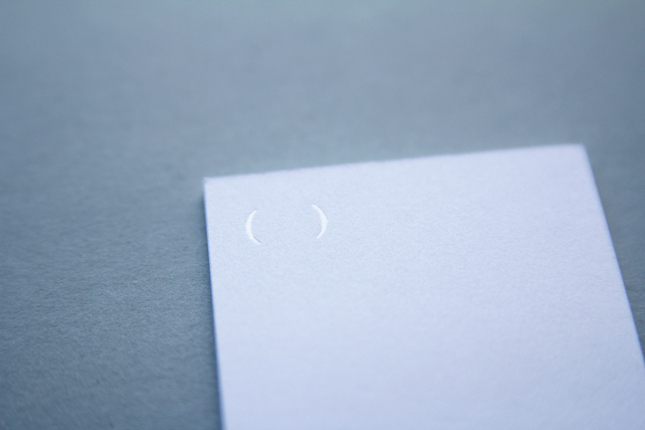 It is printed with pearl pigment by hot stamping.